Take care of your hearse and your hearse will take care of you. 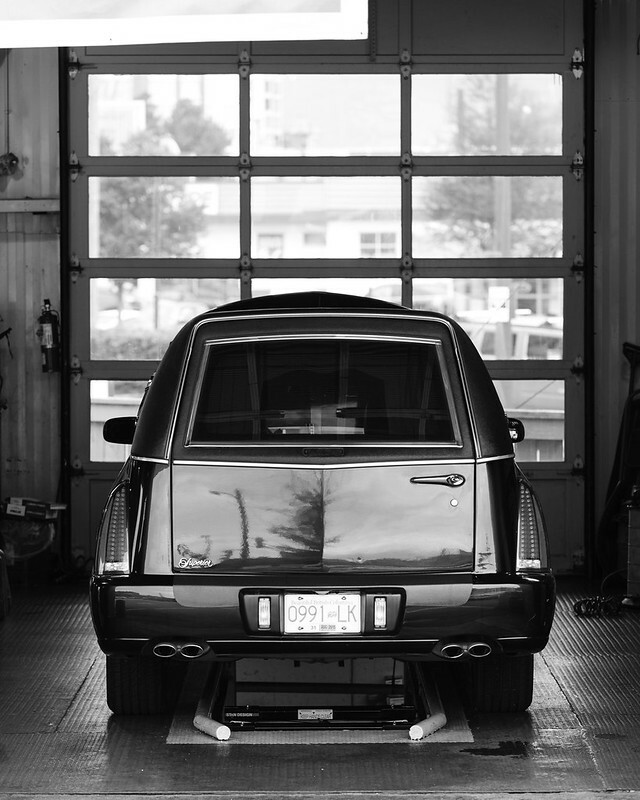 Love the reflection on the back of the hearse. Great idea, if a bit morbid.